On May 5, 2009, the youngest Alderman in Ridgeland’s history was elected. He is the Alderman for Ward 6. Hamlin said that he has always been interested in politics starting with working on his uncle’s legislative campaigns, working as a page at the State Capitol, and also being the president of his senior class in high school. Hamlin grew up in Jackson and moved to Ridgeland seven years ago. Hamlin decided to run for Alderman because he respected the city government and wanted to be a part of it. “I got out to meet constituents in January and gave it 100%,” said Hamlin, who attributes his early entry into the campaign as heading off any competition. Hamlin ran unopposed. Alderman Hamlin states that he is excited about the Master Plan and its recommendations for Ward 6. He is also working to keep the lines of communication open between the Homeowner Associations and their presidents and himself. 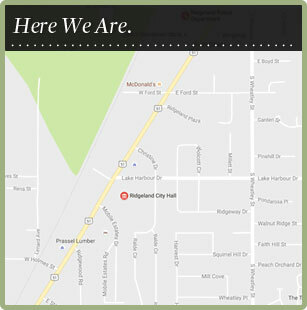 Hamlin enjoys the City of Ridgeland and the amenities it offers to families, such as the park system, the multipurpose trail, and great police protection. Hamlin and his brother, Mark, own Preferred Linen Service and service hospitals, clinics, and restaurants with linens. Since he owns his own business he feels that will give him the flexibility he needs to spend more time in his work as an Alderman. Hamlin attends Christ Life Church of the Highlands and says that his church is important to him. In fact, he is a former youth minister. “A key part of my life is my mentor and friend, Pastor David Hale,” said Hamlin. “We talk almost every day.” Hamlin has a son named Kayden. During his rare free time, he likes to play golf.